Read last year’s winning essays here. This year, CPR is also thrilled to announce that the winner, along with being published on our website, will receive a $500 cash prize. 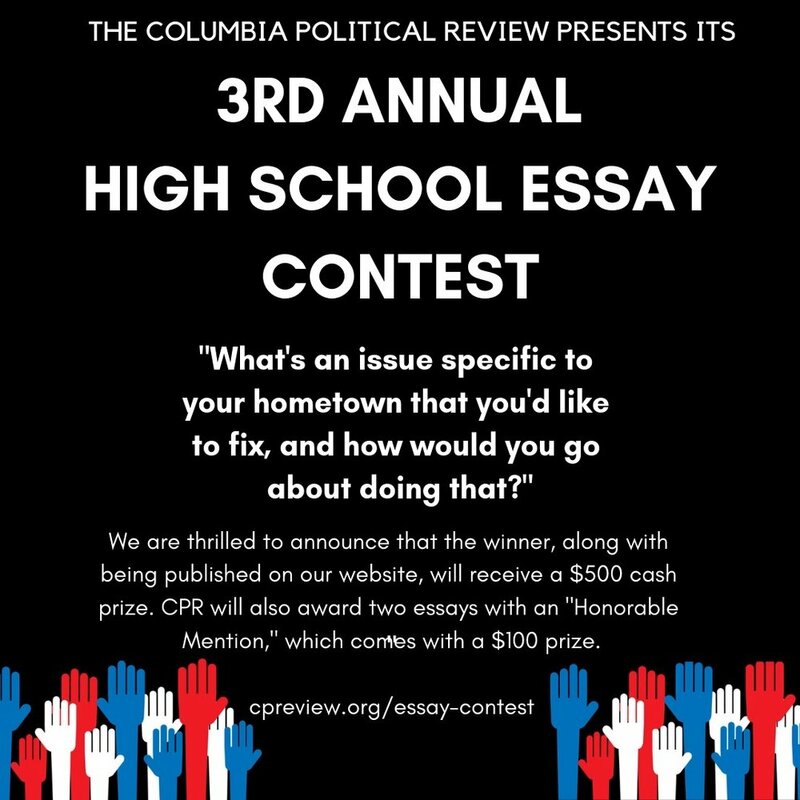 CPR will also award two essays with an "Honorable Mention," which comes with a $100 prize. This year's prompt is: "What's an issue specific to your hometown that you'd like to fix, and how would you go about doing that?" Your response can be as broad or narrow as you'd like, but successful essays will have a clear thesis and a well-defined scope. Your essay should be around 5 pages, double-spaced, 12-pt, Times New Roman font, and submitted in PDF format. Essays are due by 11:59 PM on Thursday, April 18th EST. Winners will be announced in early May. If you have any questions, please email cupoliticalreview@gmail.com. Good luck and happy writing!